An accessible, simple, and beautiful book for those who are grieving the loss of a loved one, struggling in a relationship, or facing a major change in their lives. While there is grief, sadness, and loss there is also hope. There is an opportunity for celebration as we gather together, break bread, talk, and are welcomed. Whether through cooking, or painting, or Eucharist, we come together to remember. 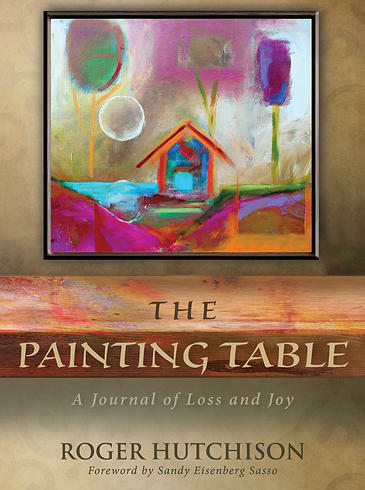 For many, life happens around the kitchen table, but in this case, we gather at the Painting Table as the reader is invited to draw pictures, record memories, and celebrate living through the creation of something new. For use by ages 6-106 and of particular value for chaplains, clergy, pastoral counselors, and Christian formation leaders. What a gem! Roger Hutchison has written a wonderful little book about death and life, illustrated with his magnificent paintings. In telling his own story about his “Mammaw,” Roger invites us to experience his acclaimed Painting Table method of Christian Formation through story telling, painting and journaling. An invaluable resource for all ages. – The Rev. Robert L. Tate, President, Episcopal Church & Visual Arts (ECVA).